With summer fully upon us here in the U.S., I’ve got hiking, biking, summer barbecues, and sunshine on my mind. So trail mix isn’t far behind in my noggin with its nuts, seeds, oats, and a little chocolate. 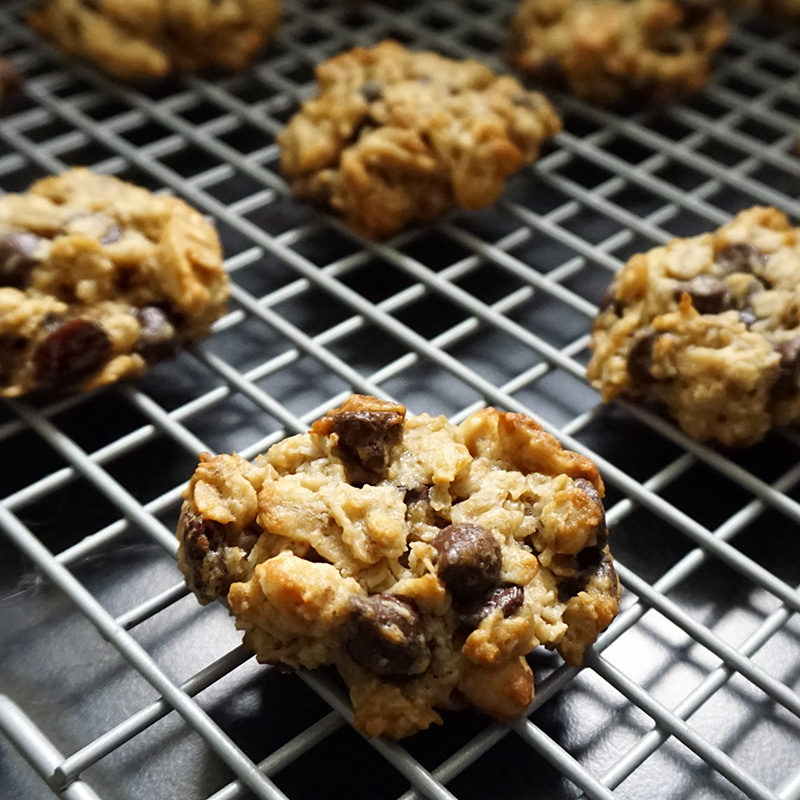 I decided to take the idea of trail mix and make it into a healthier oatmeal trail mix cookies recipe. 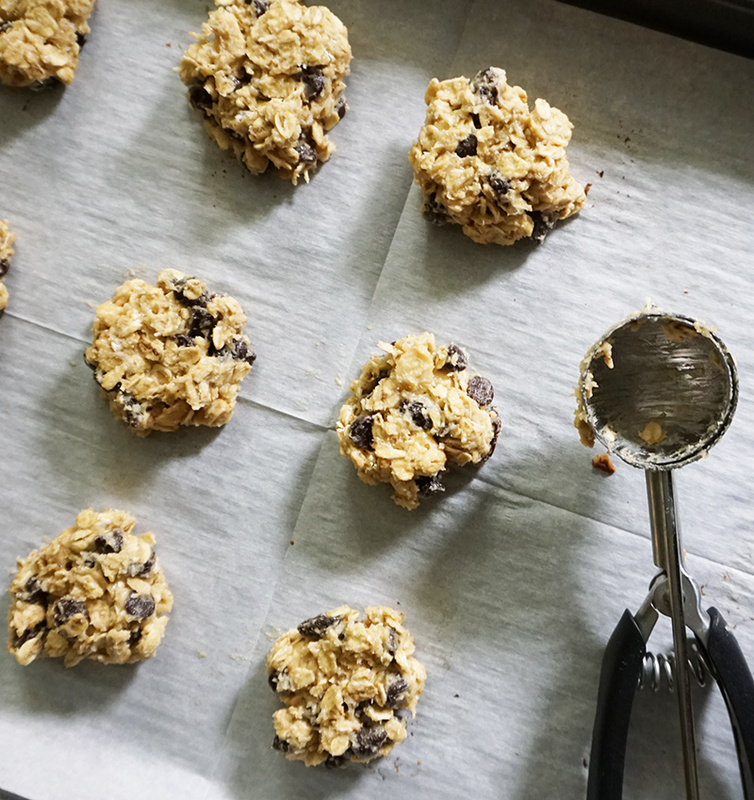 If you’ve got old-fashioned oats on hand, you’re almost there to making these trail mix cookies. 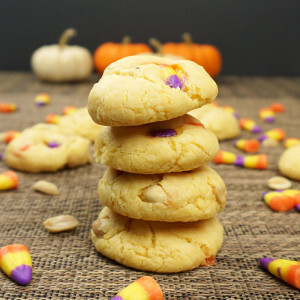 They form the base and then you can fill in the rest with whatever goodies you have on hand. 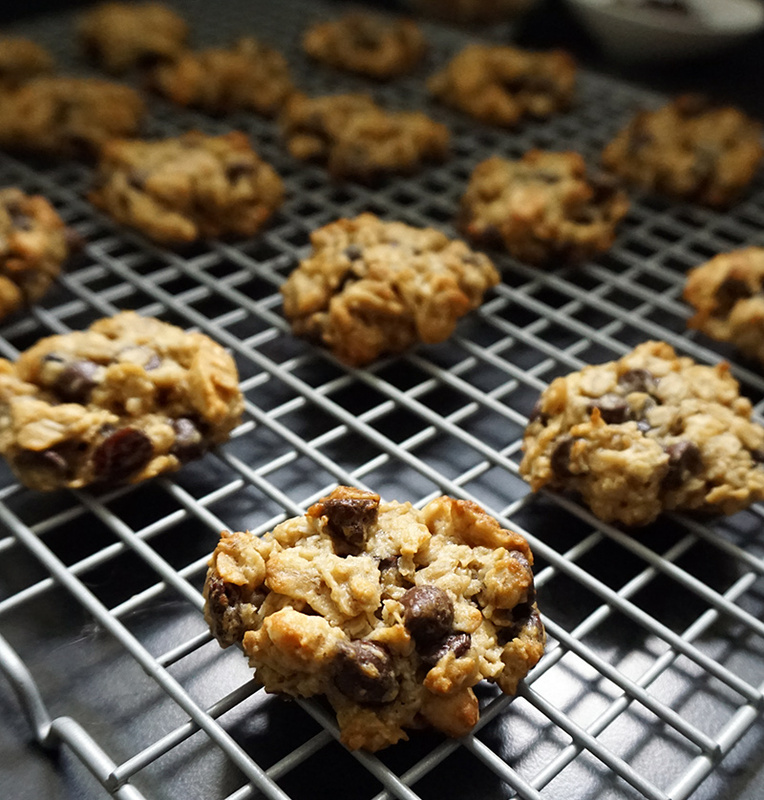 I chose peanuts, coconut, sugar-free chocolate chips, and raisins. 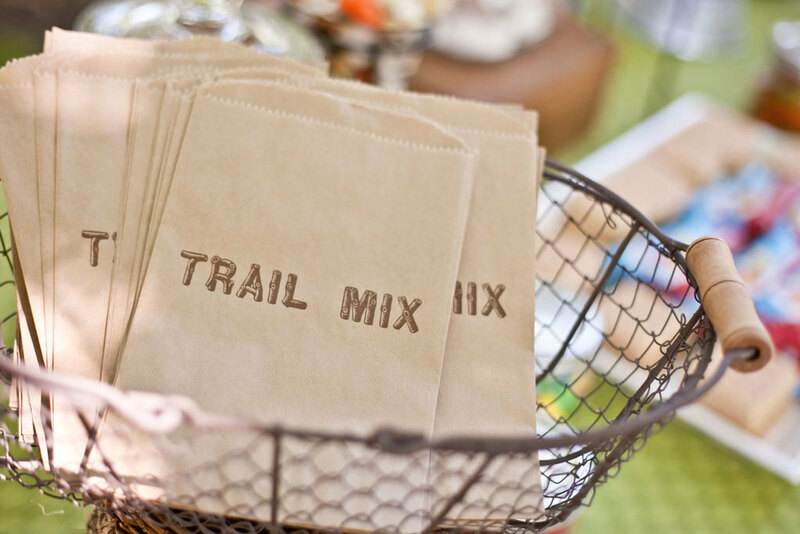 You could toss in pretty much any nuts, dried fruit, or small candies that you like. 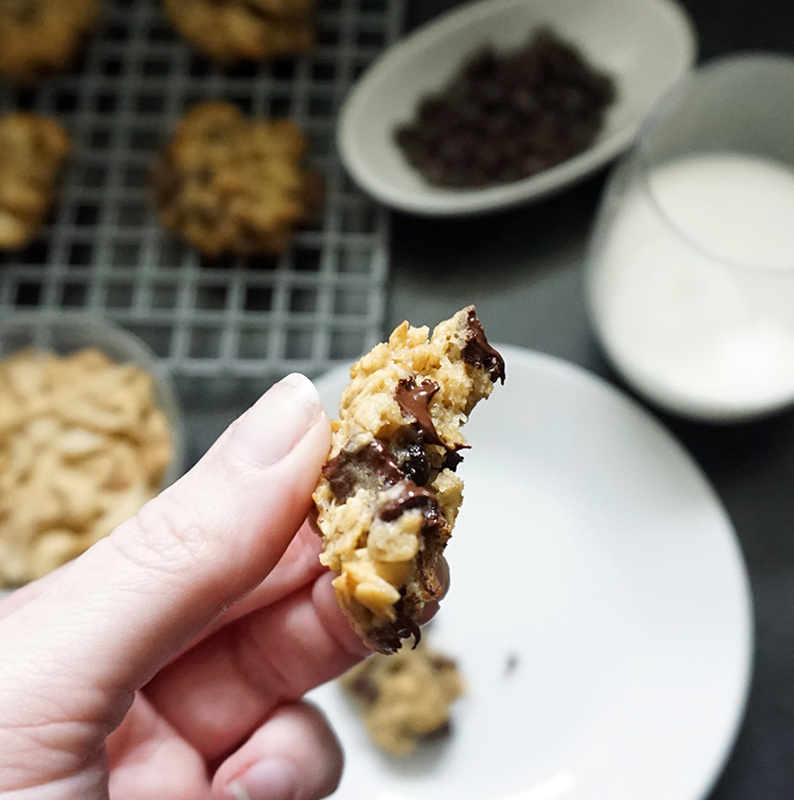 The best part of these cookies is that you can toss them into your pack while hiking the trails and get a portion-controlled nugget of yum to keep you going. 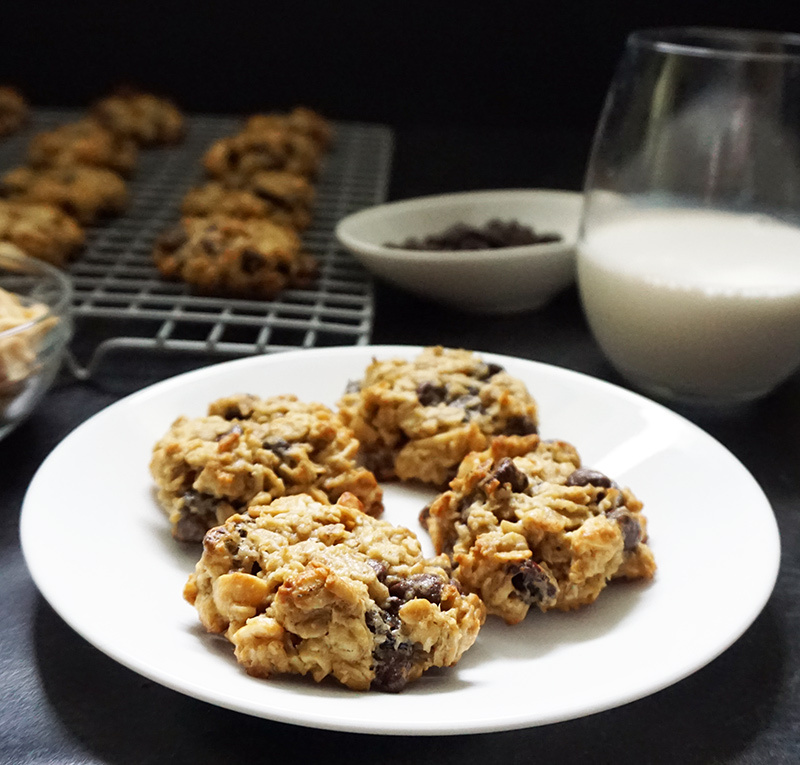 I replaced the sugar ingredients with sugar substitute, but you can totally sub in honey, agave nectar, or maple syrup to meet your dietary needs. 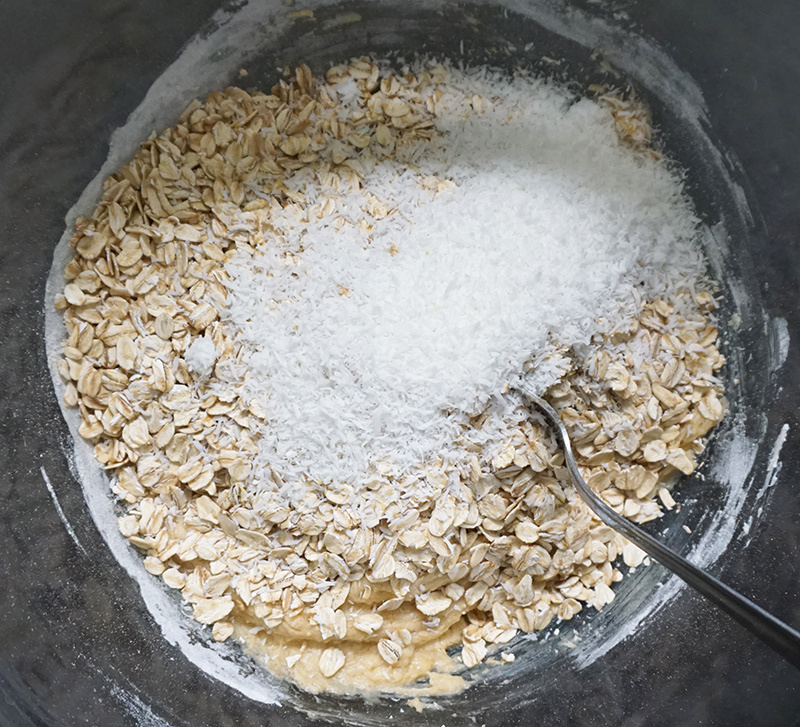 In a bowl, cream the butter with the sugars and beat in the egg, the baking soda mixture, the flour, the salt, and the vanilla. 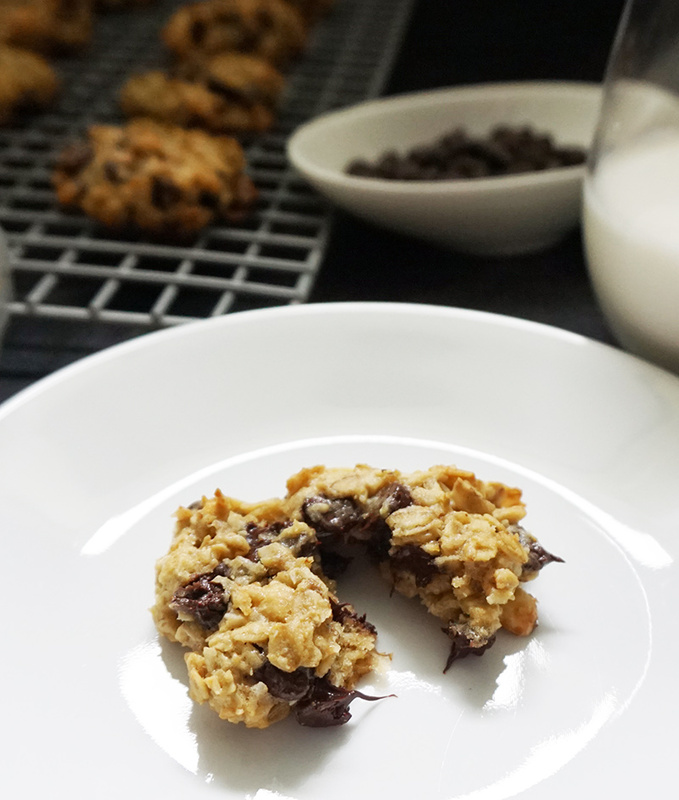 Mix in the oats, coconut, chocolate chips, peanuts, and raisins. 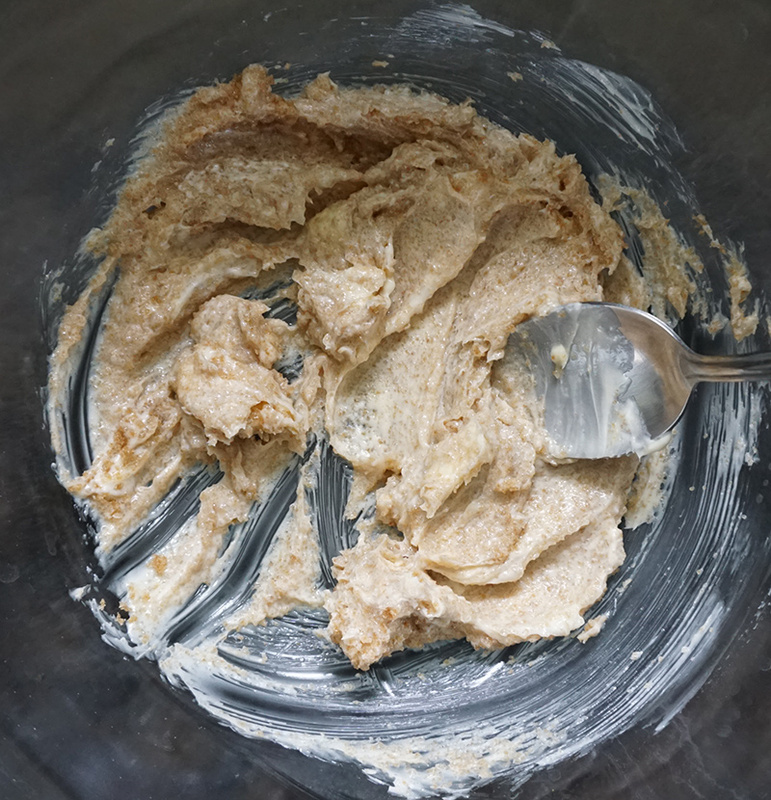 Drop rounded tablespoons of the dough about 4 inches apart onto parchment-covered or greased baking sheets and flatten each with a fork to spread, about 3 inches in diameter. 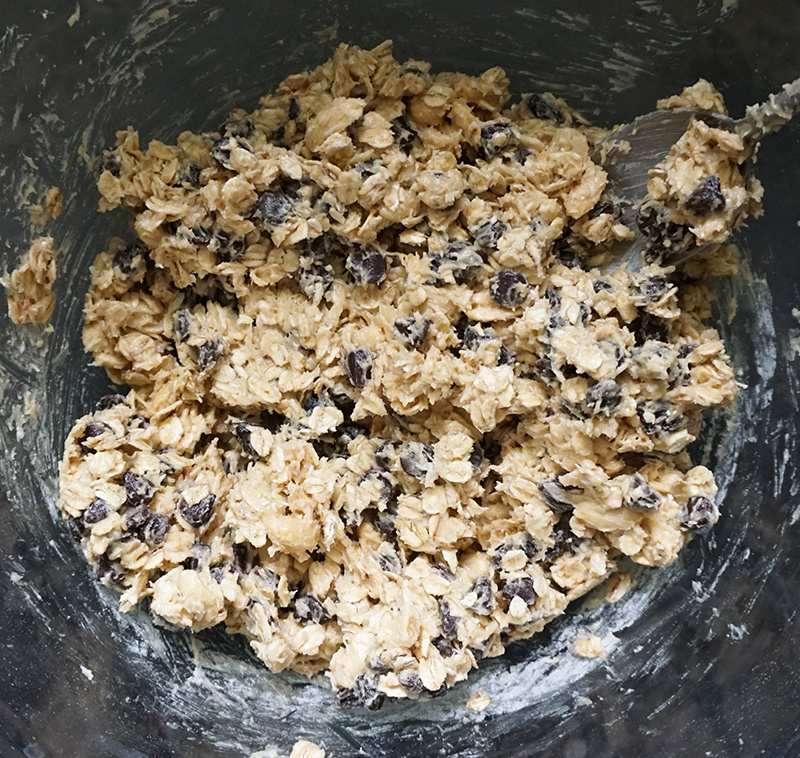 Bake for 8 to 10 minutes or until golden. 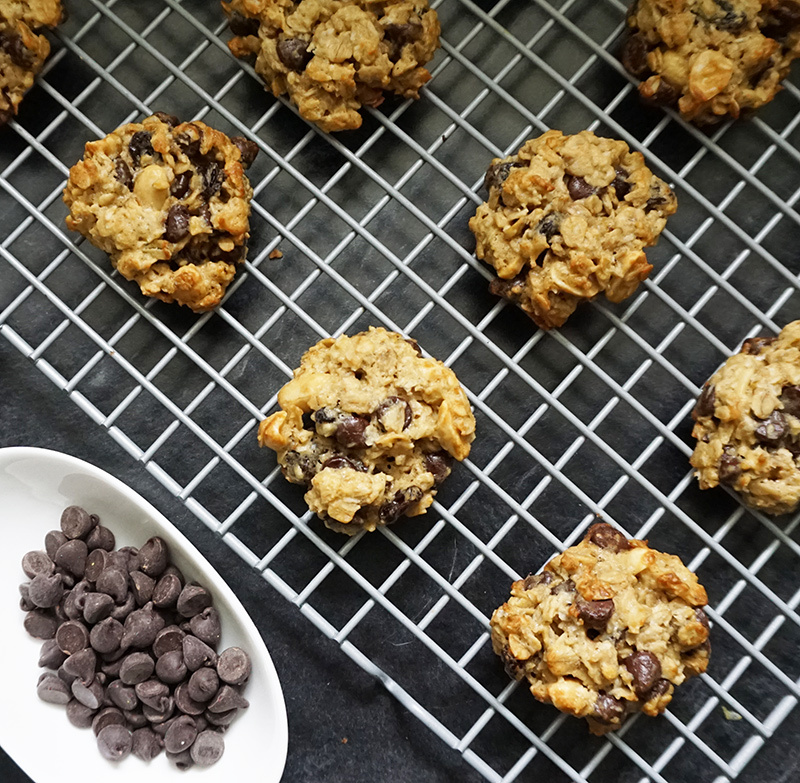 Transfer to a cooling rack (like this! ), let cool, and enjoy! 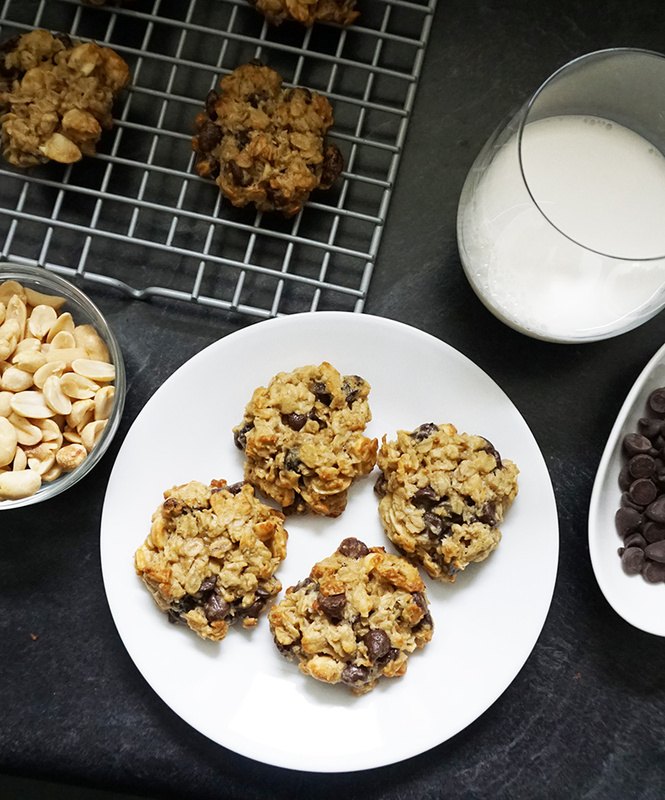 This trail mix cookie recipe looks easy enough for me. I do have basically everything already, just missing agave syrup. I might use pepitas, sunflower seeds or chopped pistachios, mainly because that’s in my kitchen cabinet right now. 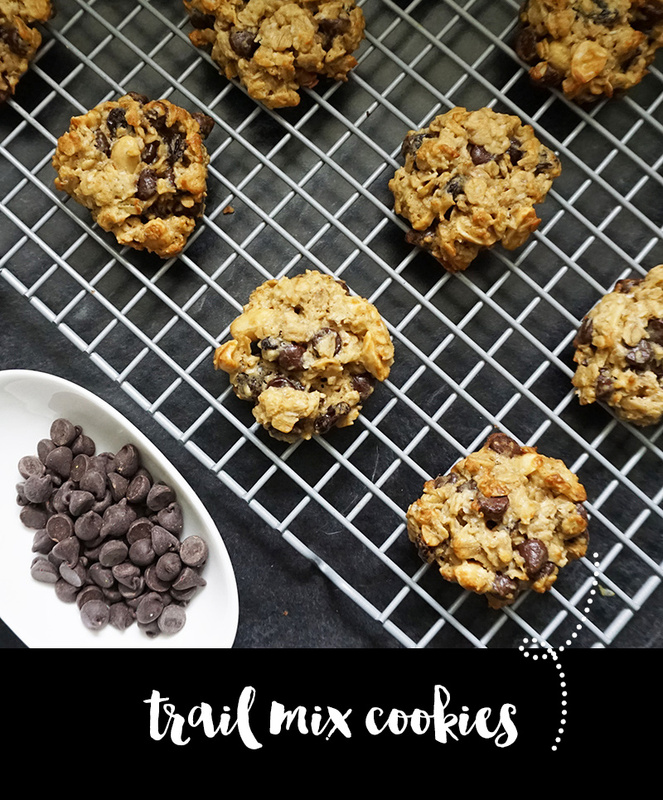 I would pack this trail mix cookie snack for us on our bike rides, a simple little goody to carry with me. After a while snack bars get old and boring. Maple syrup would be divine! And pistachios… my fave. Let me know how it tastes!